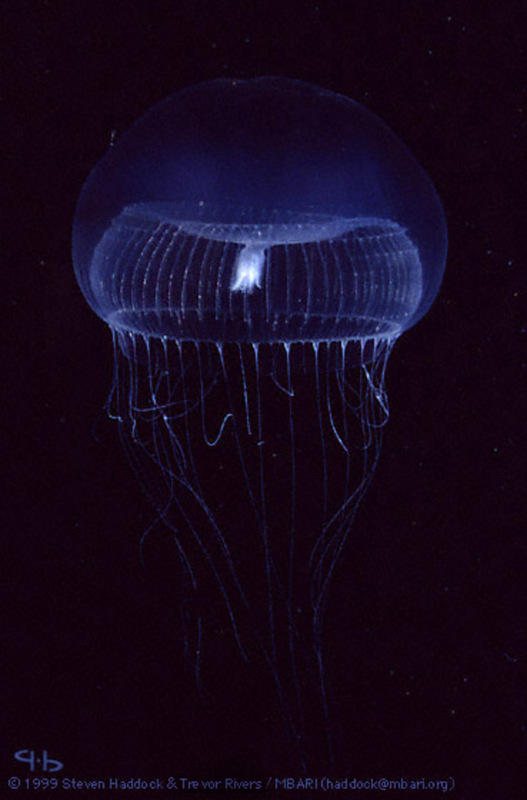 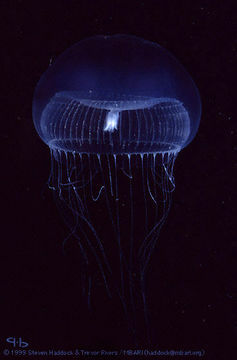 The crystal jellyfish has about 300 photo organs on the bottom edge of the jellyfish’s umbrella. 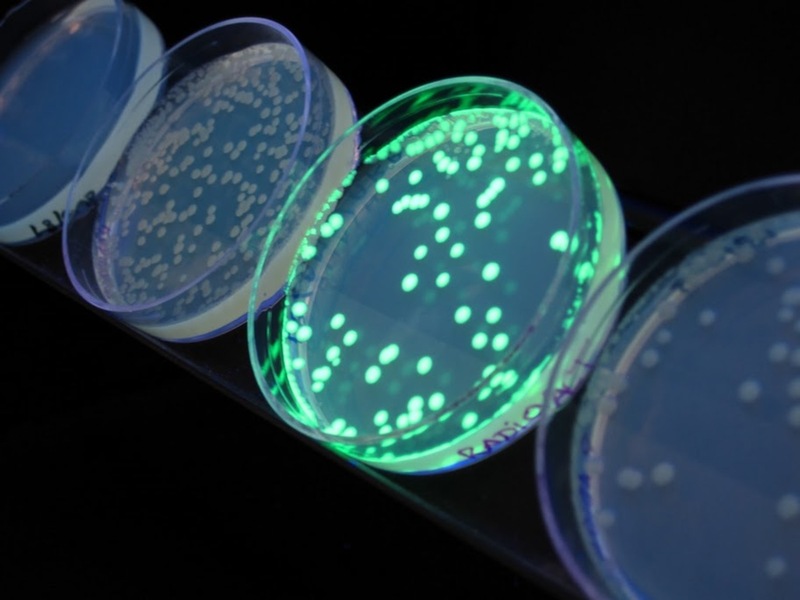 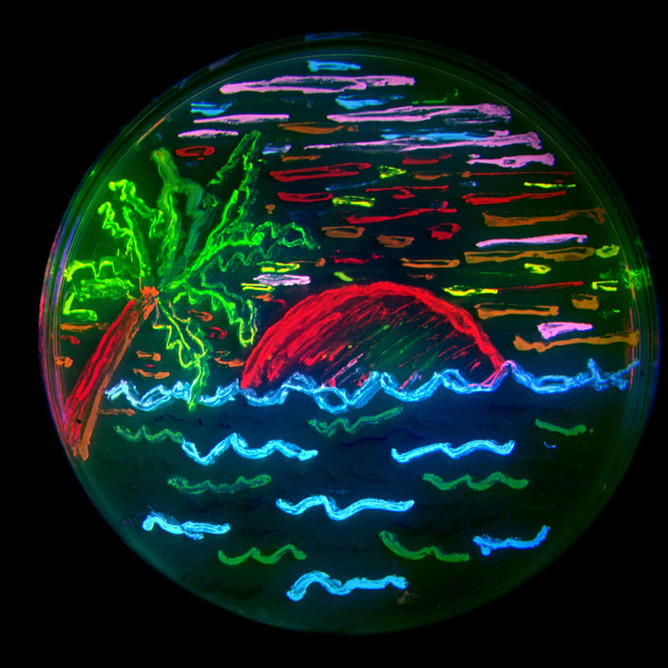 Petri dish with bacterial colonies expressing differently colored fluorescent proteins. 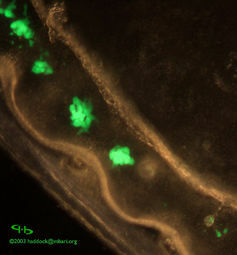 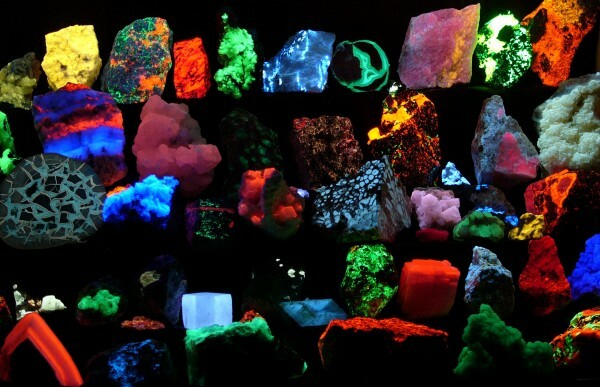 These fluorescent proteins developed by Roger Tsien’s group are called the mFruits and have names like mHoneydew, mTomato, mCherry, mRaspberry, and mPlum. 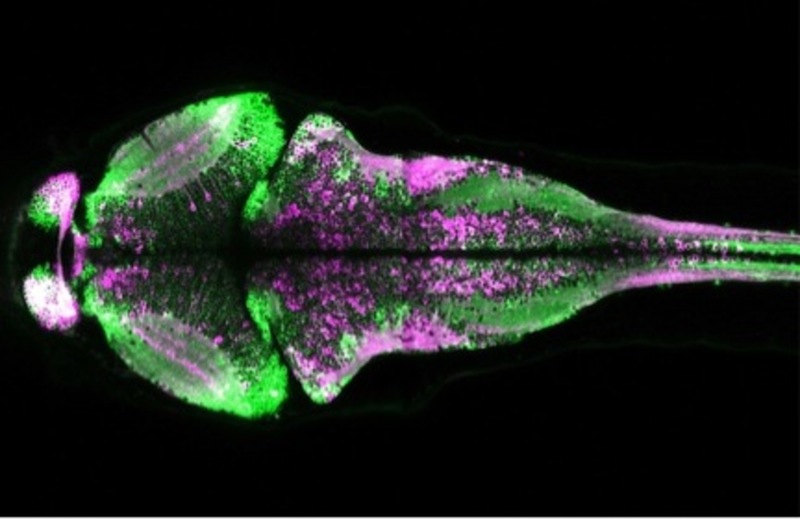 Looger Lab (HHMI/Janelia), Science, VOL 347, ISSUE 6223. 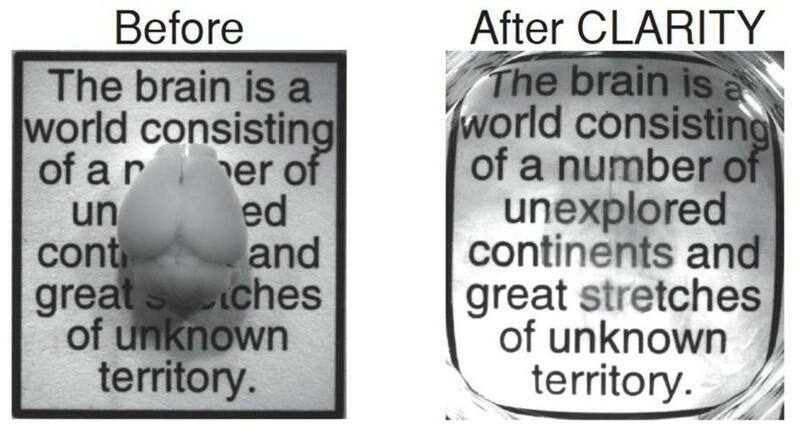 Intact adult mouse brain before and after the CLARITY process. 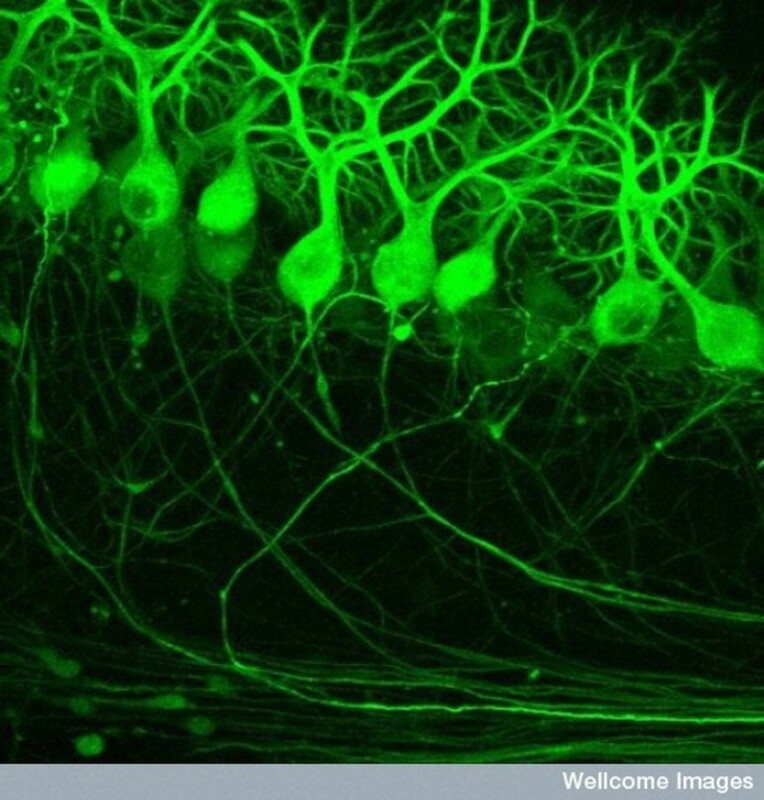 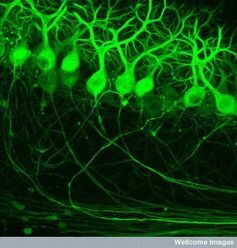 Mouse neurons labeled by GFPs. E. coli with GFPs glowing in their petri dishes.